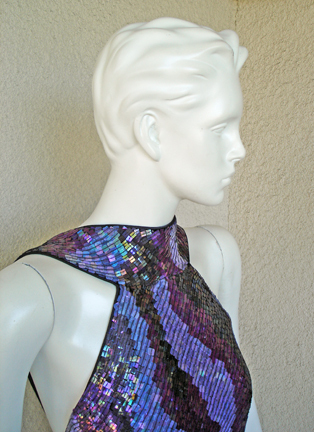 Couturiere Andrea Odicini started his fashion business in 1980 creating magnificent exquisitely tailored over-the-top eveningwear From a wealthy Genoese family, he hand picked his exclusive clientele. 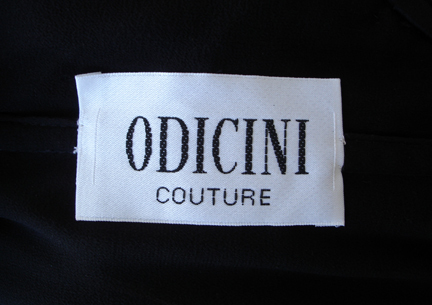 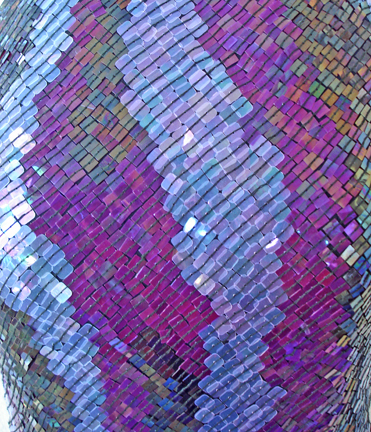 Odicini Couture pieces are still highly coveted and rare to the market. 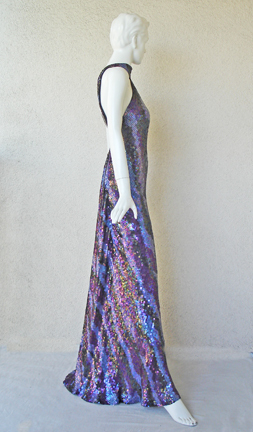 Bias cut halter gown with fantail back; and fashioned in a rainbow of rectangular pailletes over silk chiffon. 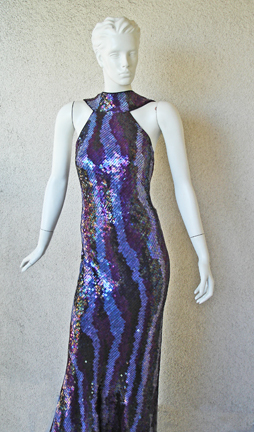 Fully lined; back zipper closure. 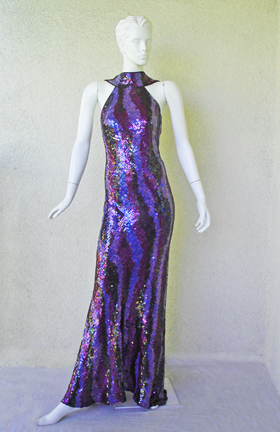 Bust: 34-36"; waist: 28"; hips: 36"; length: 59"